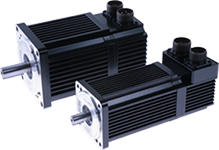 Elwood High Performance Motors designs and manufactures rugged stepper motors for harsh and/or specialty environments. Servicing the unique needs of the machine tool, automotive, packaging, food preparation, and varous other industry sectors for the past 45 years has taught us a few things about building motors. Whatever your needs, let Elwood High Performance Motors solve your next motor challenge.